See some of the world’s most stunning landscapes and majestic scenery on your discovery of the 49th state for seven nights. It all begins in Anchorage with a stay at the Anchorage Marriott Downtown and a welcome seafood feast at Bridge Restaurant that spans a salmon stream. Next morning bicycle around Cook Inlet and get up close and personal with bald eagles, then visit the Alaska Native Heritage Center for an interesting look at Native Alaskan cultures with a demonstration by the Native Junior Olympians. From Anchorage motorcoach to Talkeetna located at the edge of Denali National Park where you reside at the Grande Denali Lodge perched dramatically above the Denali Valley. Along the way a jet boat cruise shows you the sights of the Susitna River and the Alaskan wilderness. Your stay includes whitewater rafting on the Nenana River, time in Denali National Park, a salmon bake lunch, and a mountain climber presentation. On the road to Girdwood and the Hotel Alyeska experience Iditarod at Happy Trails Kennels, including a sledding demonstration and a visit to meet the racing dogs and their litters of puppies. That evening the adults take a tram to the Seven Glaciers Restaurant for jaw-dropping views of Cook inlet and the surrounding glaciers while the children enjoy a Junior Adventurers dinner and games back at the hotel. Next day board the Scenic Alaska Railroad to Seward and take in the spectacle from rail cars with outdoor viewing decks. 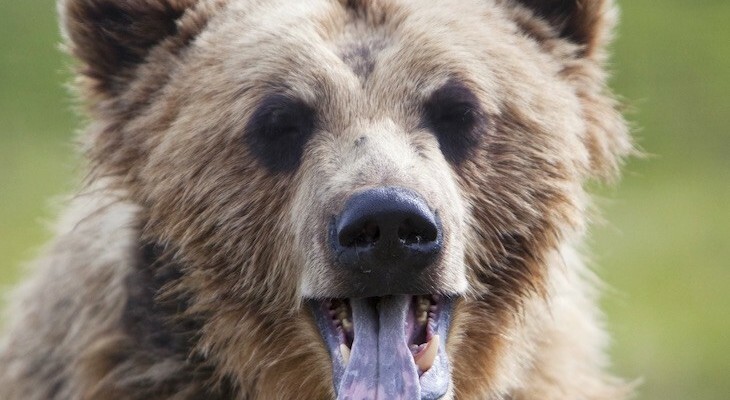 In Seward a cruise of Resurrection Bay takes you on a search for whales and lunch on Fox Island, and the Alaska Wildlife Conservation Center demonstrates how the resident bears, moose, and bison are rescued and rehabilitated. Savor one last taste of wild Alaska salmon accompanied by traditional native dancers and drummers at your farewell dinner. If you love to fantasize about the Old West, head to Arizona and Utah on a 7-night adventure where you’ll enjoy the canyon lands of the American Southwest and the pine trees of the surrounding mountains. 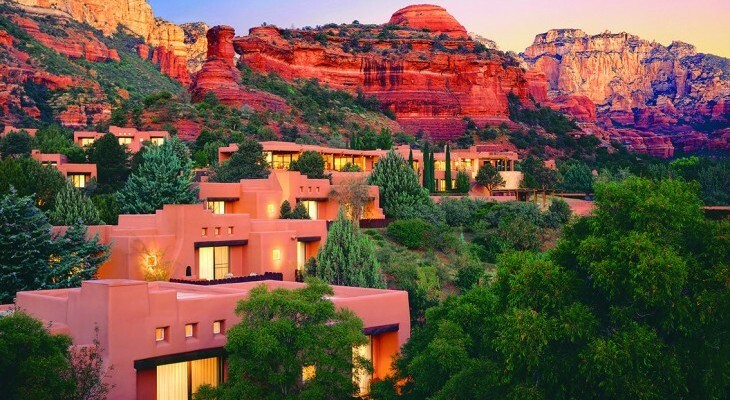 Begin in Sedona, Arizona with a stay at lovely Enchantment Resort, perfect for launching your explorations of fascinating red rock canyons by day via off-road jeep and by night under the star-studded sky guided by a local astronomer. And then . 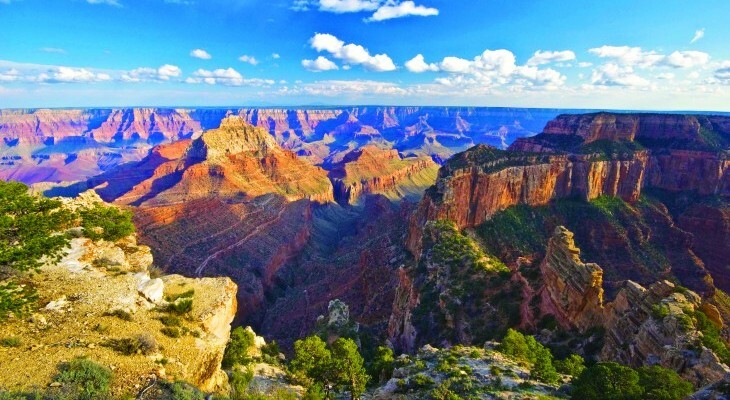 . . the Grand Canyon for a 2-night stay in one of the Grand Canyon Lodges on the South Rim. Your first night here includes a BBQ feast with prime views and a Native American dance performance. The following morning enjoy a privately guided tour of the Canyon as you drive and walk along the South Rim. Next stop, Monument Valley, easily recognizable from old Hollywood westerns (think John Ford). Take a Navaho-guided, off-road excursion through the magical mesas of the valley before checking into Red Cliffs Lodge on the banks of the Colorado River, your home for the next three nights. A jaunt to Arches National Park and its thousands of sandstone arches follows with jet-boating on the Colorado River. 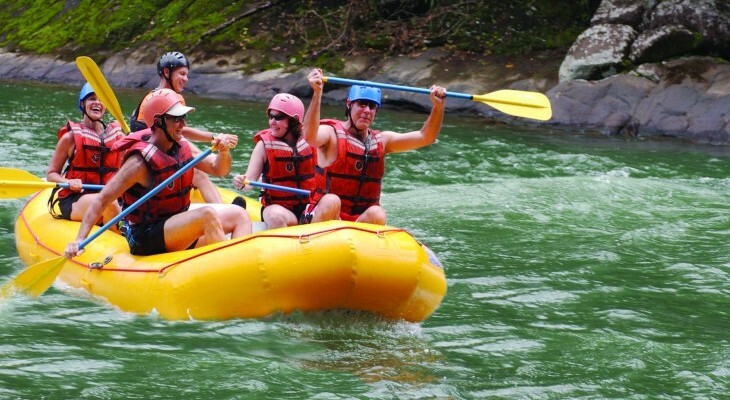 Spend your last day enjoying white water rafting and a grand finale cowboy cookout on the banks of the river.